We wanted a simple way for neighbours to avoid waste, and share our unwanted but good quality household items. We are also always looking for opportunities to meet and get to know our neighbours. Group members came up with the idea of holding concurrent garage sales and in July 2012, 10 households in Railway St held the Dudley Mega Garage Sale. Each household contributed a small amount to the cost of advertising the sales. 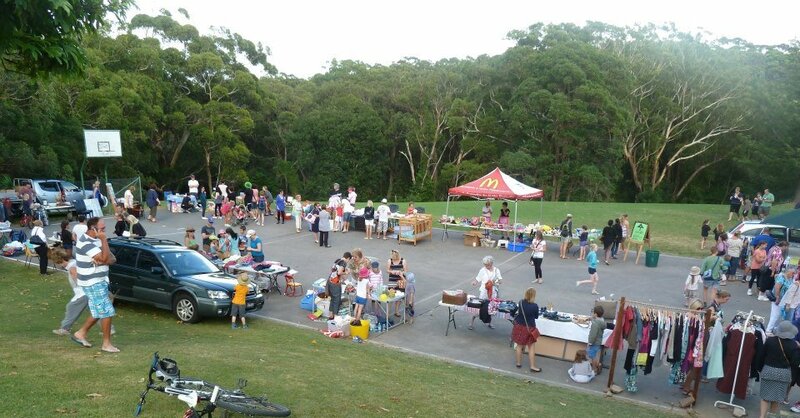 The day was so successful, that the Dudley Sustainable Neighbourhood Group joined the ‘Our Super Street Sale’ service – a new initiative of Lake Macquarie City Council to help residents hold a street-wide garage sale. 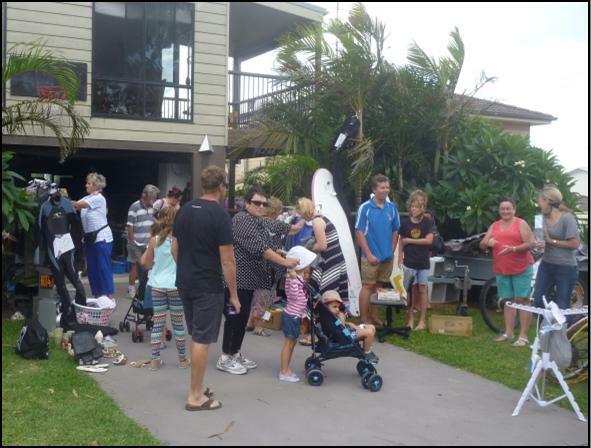 To launch Our Super Street Sale, the Dudley community went all out and held a suburb-wide garage sale, with over 24 participating households. 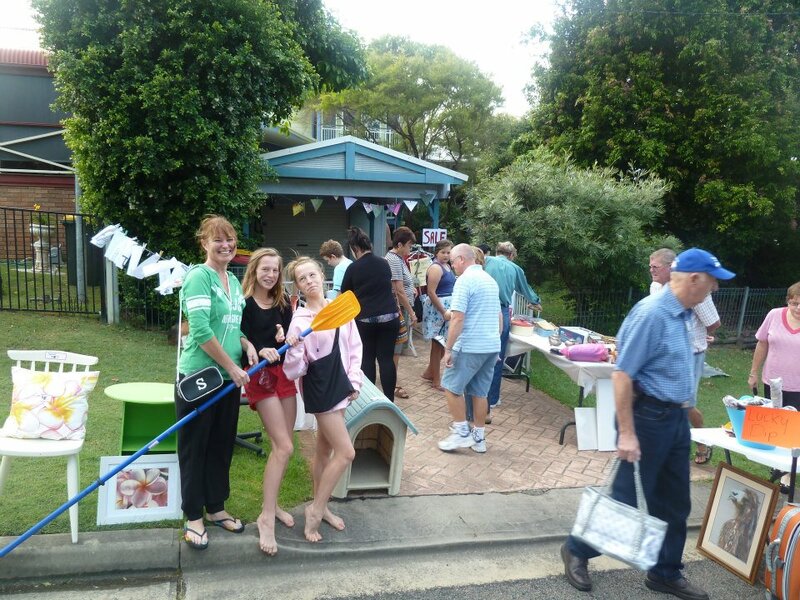 Dudley Public School held their mini fete event on the same day, which also embraced the garage sale and reuse theme. Council supported the event through advertising in The Herald, Council’s website and Council’s facebook page. Each eligible household received a garage sale kit filled with tips and promotional materials. The day was a suburb-wide celebration of our neighbourhood, and our commitment to sustainability. Most of all we made lots of new connections amongst our neighbours, and really enhanced our sense of community. Over 24 households participated on the day, with most households reporting about 50 people attending their garage sale. Households sold many items that may otherwise have ended up in landfill, and made a bit of extra cash. The day was a great opportunity for Dudley Public School, who raised over $4000 through their P&C. You can hold own Super Street Sale by getting two or more houses in your street to hold a garage sale on the same day. Visit Council's website for more details. 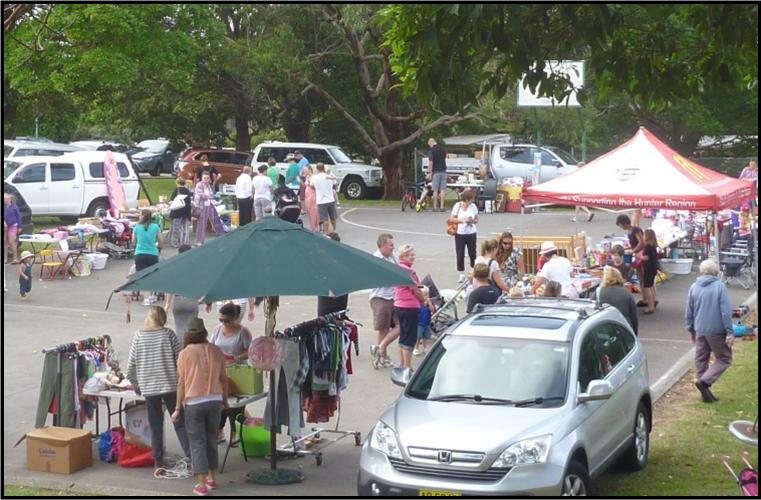 We held another Super Street Sale on 6 April 2014. You can see our 2014 photos here.